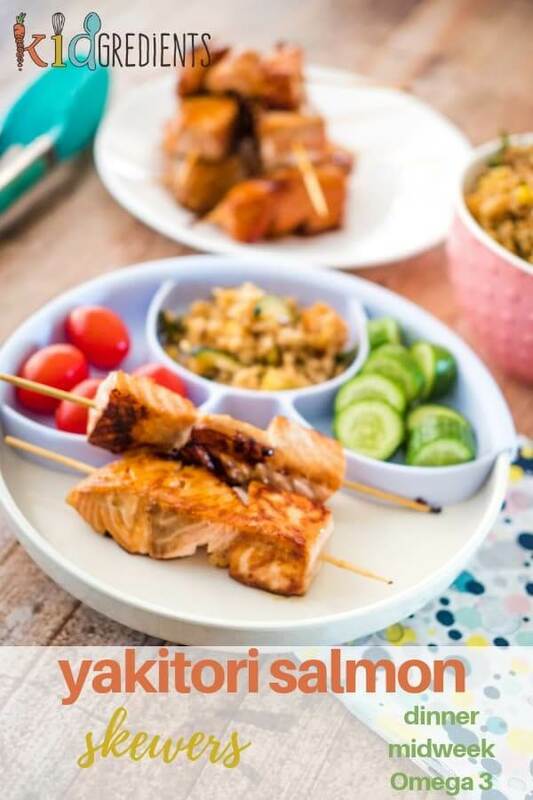 This recipe for yakitori salmon skewers was first published in January 2015. I’ve given it a full refresh with schnazzy new photos. It’s Master 6’s birthday today. 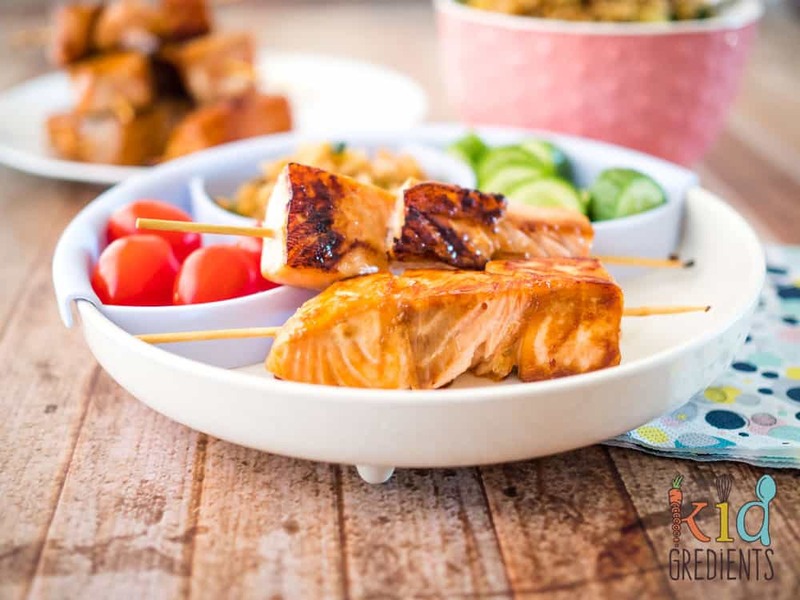 He loves salmon, so I thought that there was no day better than today to remake these yakitori salmon skewers (he loves salmon). So I got some salmon and mixed up the marinade and got cooking. We had some leftover fried rice, so I reheated that to go with it. And as always, some crunchy veggies. 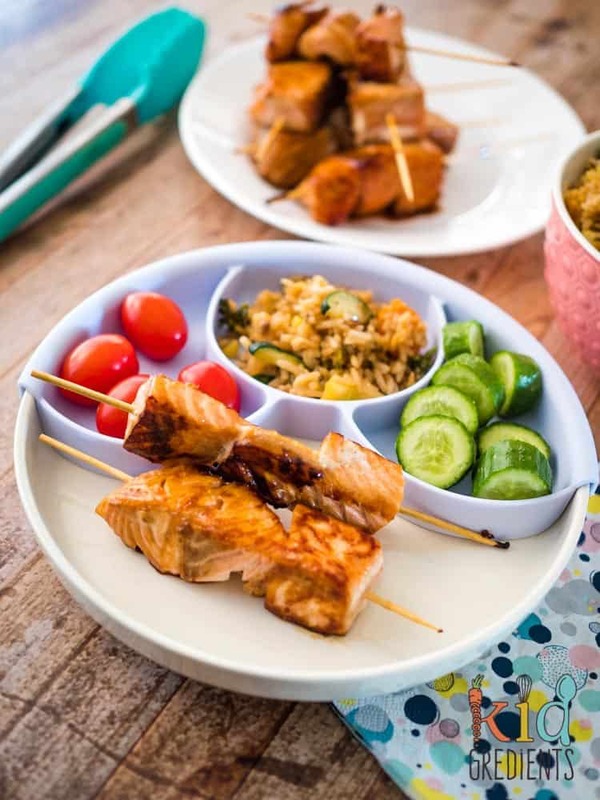 I’ve done a few salmon recipes lately, these salmon panko bites are crunchy and delicious and we also love to make salmon sandwich sushi. 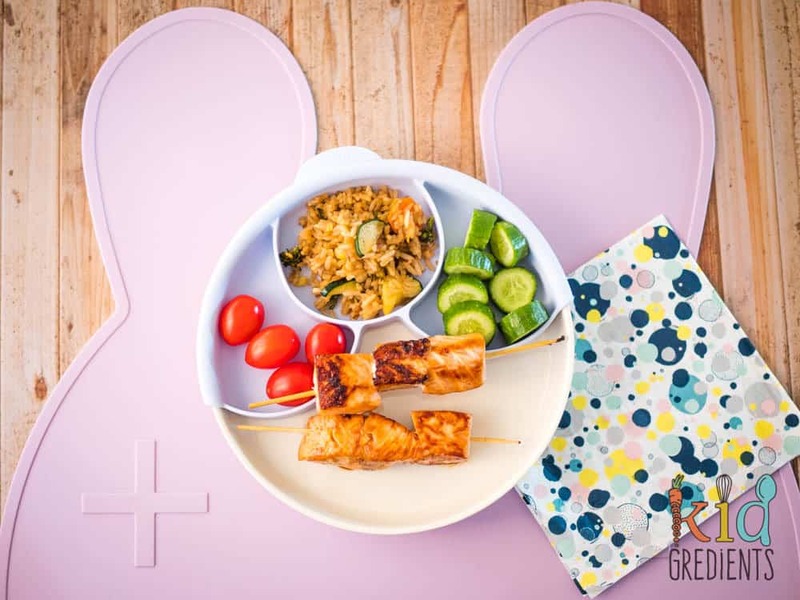 It’s such an important part of our diet as it helps us with our Omega 3 intake! 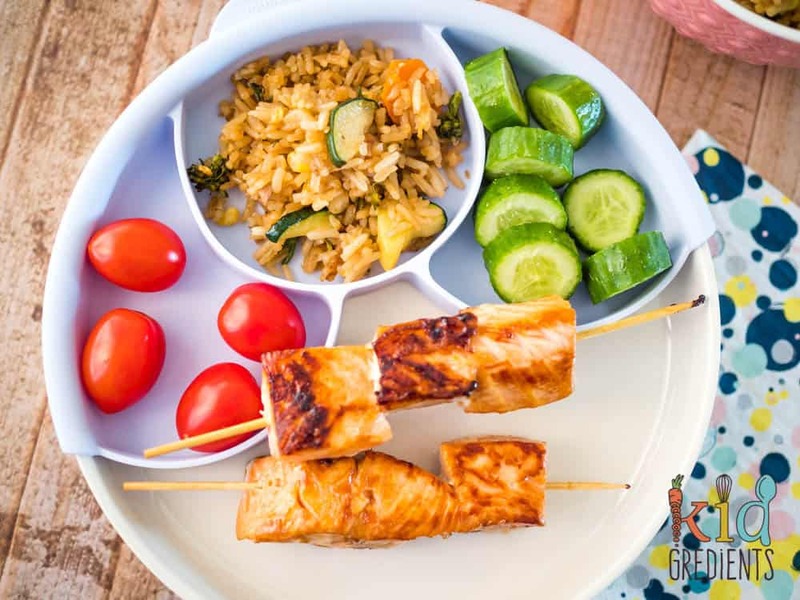 If you’re looking for side dish inspiration for these yummy salmon skewers, then try fried rice or these best ever sweet potatoes fries! Love the plate? It’s from miniware! My mini kidgredients don’t really dig fish. But it’s so important to include it in their diet, if only for expanding their tastebuds! So what to do? 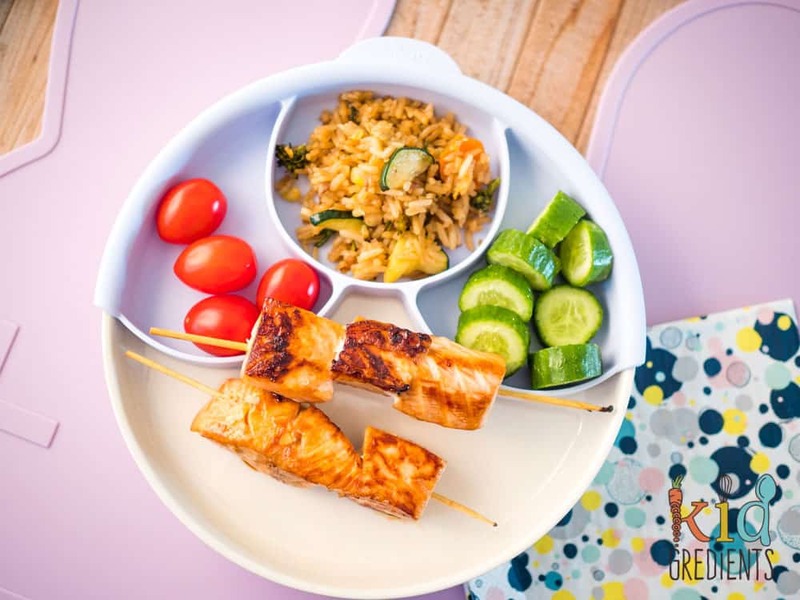 Well, everything tastes better on a skewer. Everything. 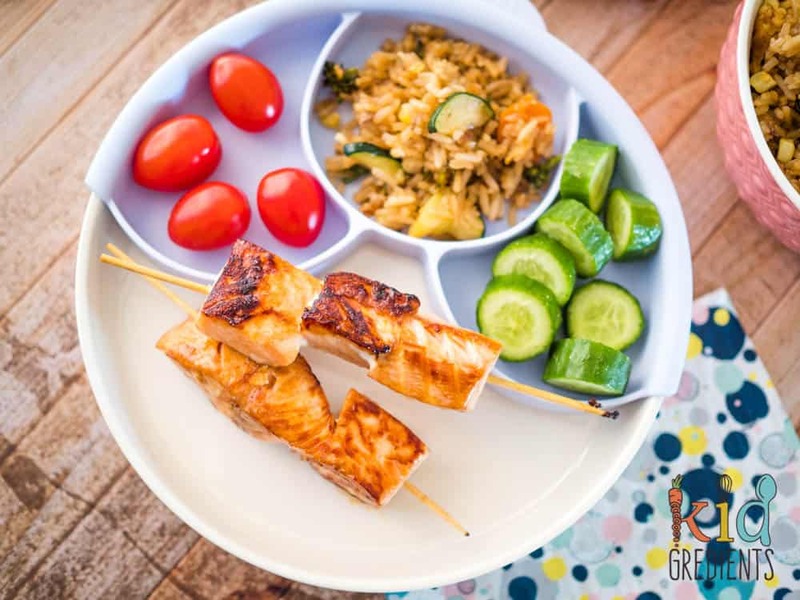 Whilst in Hawaii the kids became quite well acquainted with teriyaki chicken, so I thought perhaps…I could convince them of yakitori salmon. It worked. They ate 2 skewers each! I noticed today at our local big name supermarket that they can marinate fish for you. I was a little disturbed to see it was shelf stable (i.e. not refrigerated) after opening. 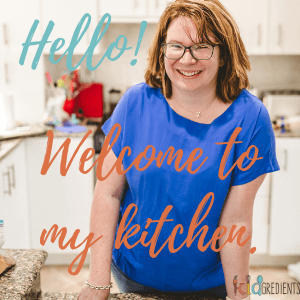 I asked for the list of ingredients and was shocked at the number of flavours and numbers! 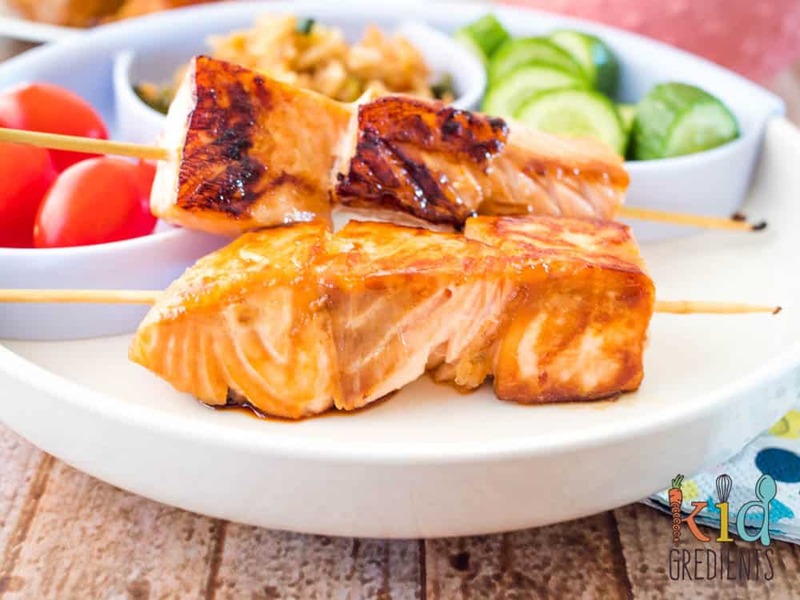 This marinade will ensure you never buy a bottle of marinade again! It’s so quick and easy to make and tastes sensational. 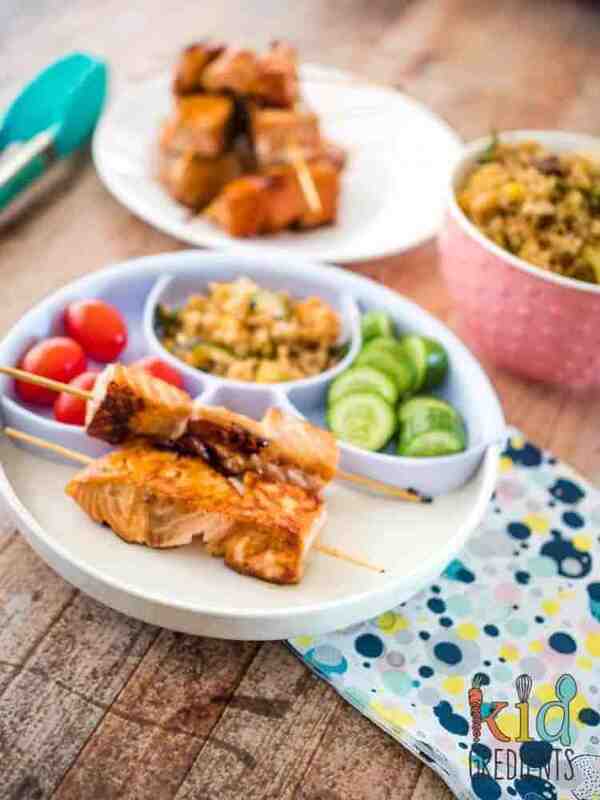 You can also use salmon in a pack from the supermarket but you will need 2 packs- approx 600 grams. And make sure it is skin off! 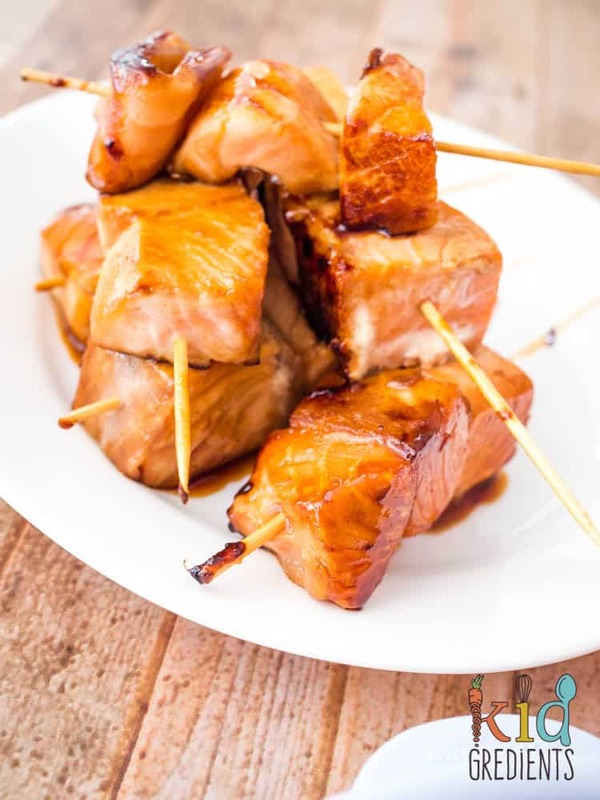 Chop the salmon pieces into even sized cubes. Mine were about 2.5cms. Combine the marinade ingredients in a jug. 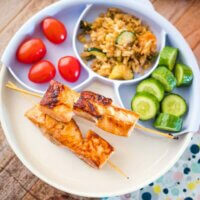 Pour over the skewers and rest them in the fridge for at least 20 minutes but up to 1/2 hour. Cook the skewers in batches, basting as you go with the remaining marinade. Cook until coloured on all sides. Serves 2 adults and two kids. Yum! These look delicious Kylie! I image they are good for big kids and small kids alike! I have to admit, I might have been incredibly pleased when these were on the menu again- we love them!